Welcome back to Teaser Tuesday hosted by Should Be Reading where we share a spoiler free teaser from a book we're reading. He shouldn't be doing this. Fraternizing with an inmate was hovering in dangerous territory. For the first time in his career, he couldn’t bring himself to care about the rules. This for me is a story of two sides. On the one hand you had the story of the developing relationship between Sarita who is a Secret Service agent that was sent undercover to a prison and Matthew, a prison guard in charge of her as an inmate. How can true love grow between two of them when she is there under false pretences and there are rules that forbid them from being together. The conflict was very spot on and I loved the way the author paced this out. On the other hand there is a story about prison life for female immigrants. We as readers get to take a peek into their lives and the reasons they became incarcerated. 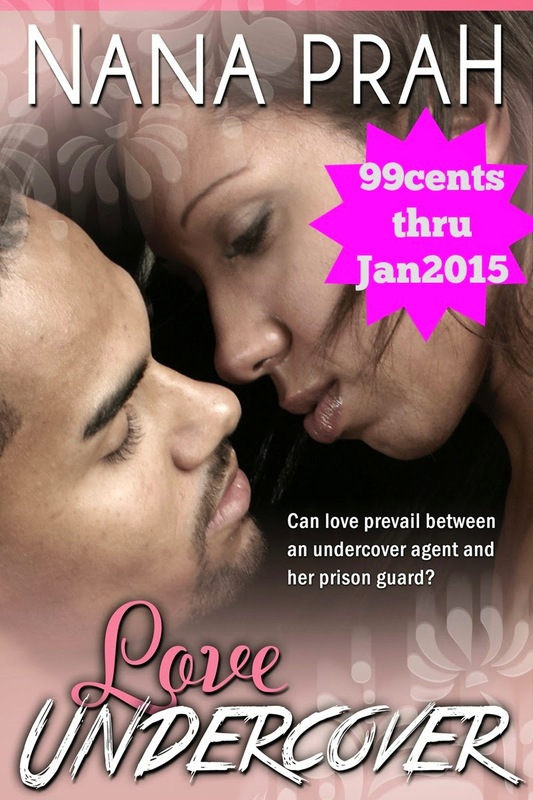 This brings a very strong human element to this romance as we witness Sarita's interactions with her fellow inmates. The friendships that develop are very moving. Overall, this is a well-written book and balances, life, humor and romance well. I think this story works well as women's fiction as well as romance. Fans of sweet romance will love it. A solid 5-Lovebites read. What about you? What are you reading this week? Leave me a comment and I'll return your visit shortly. It sounds like a really good one. I'll be watching for it. I've not seen one with this premise before. And with her the prisoner I'm particularly fascinated. It is certainly a great premise and it really works here. Thanks for stopping by, Laura. Love Undercover sounds absolutely up my street. I look forward to reading it. Great review! Thank you, Zed. Popping over now. This sounds great and unique. This seems quite intense... falling for am inmate. Awesome review!